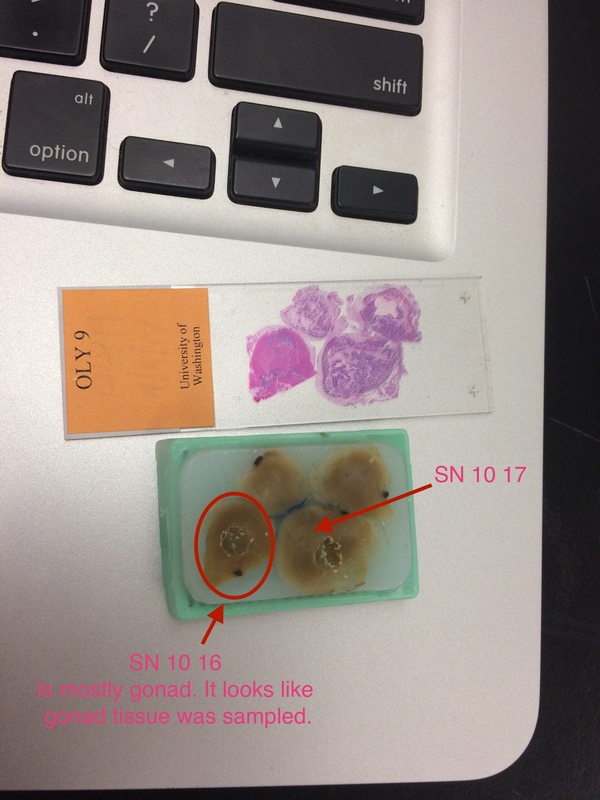 Looked through Laura’s histology slides and compared them to the extraction sites taken by Sam to determine whether gonad tissue was sampled or not. For the majority of the samples, I feel that I can confidently say that it was not gonad tissue. Samples were taken from the center of the tissues, while gonad tissue is located around the edges. 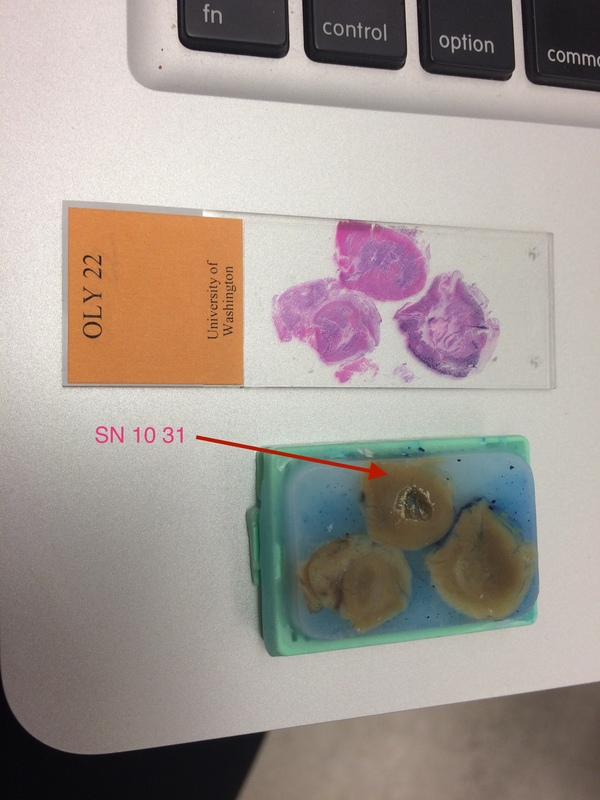 Below are the images of the histology blocks and the slides, with arrows indicating where gonad tissue can be found (determined through the use of a microscope) and the label indicates the oyster the sample was taken from. The only samples that seem likely to have had gonad tissue sampled are NF-10-26 and SN-10-16.